Meydan One development in Dubai aims to create exceptional blended retail, with dining, hospitality, entertainment and residential offering. Meydan One, nestled in the heart of Dubai is Meydan Group’s latest retail project envisioned to reimagine urban life in a mall that is more than a place for shopping but also a bustling lifestyle destination where people can live, work, enjoy nice dining and play. The ambitious project was presented at MAPIC 2018 in Cannes. Because of the sometimes oppressive heat in the United Arab Emirates, people in Dubaï are spending a lot of time in shopping centers. Developpers must provide the shoppers a new experience, some extra soul to our contemporary way of shopping and having a great time. 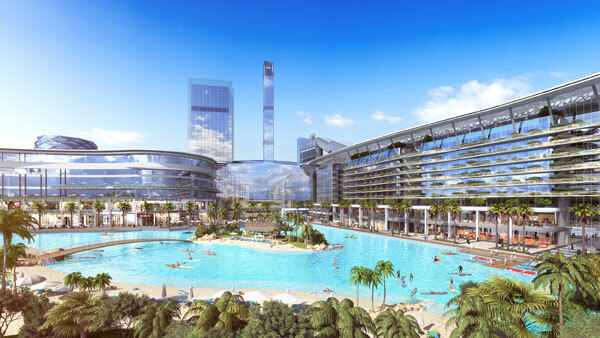 Thus began the development of Meydan One, the sprawling multifunctional space that is set to become more than a retail centre: a funfair, a holiday haven and a place to call home into one destination. Located in the heart of Dubai, Meydan One is just a short drive from Downtown Dubai, the Dubai International Financial Centre and Jumeirah. It is accessible through arterial road networks as well as public transportation options, such as Dubai Metro and Dubai Water Taxi via Dubai Canal. Meydan One’s use of innovative technology and design will enable the space to cater to the full spectrum of needs of the modern-day consumer will set it apart from every other destination in the UAE. 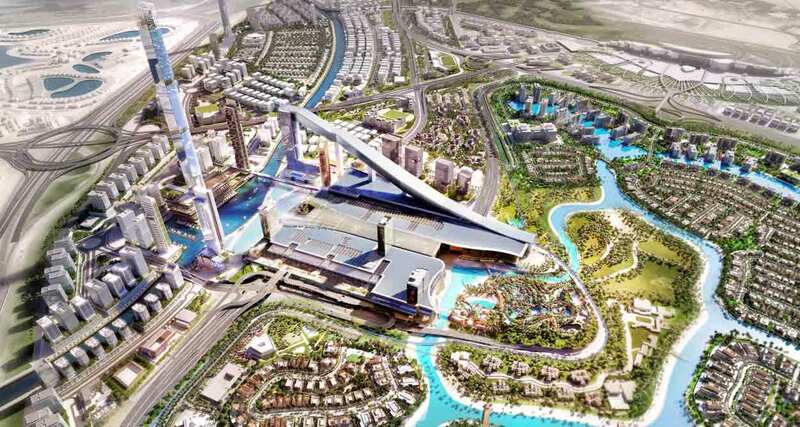 The destination will serve as the epicentre of the Meydan One residential community, part of Mohammed Bin Rashid Al Maktoum City, a planned mixed-use development. 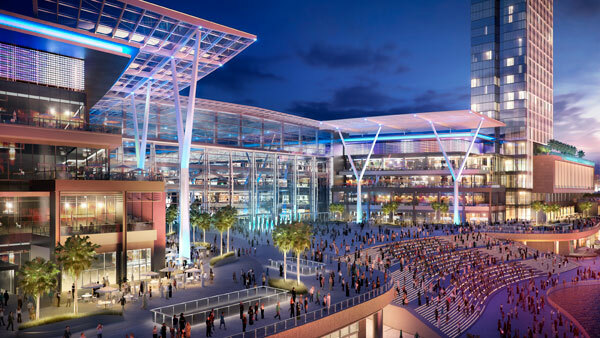 The project will also be integrated with Meydan Racecourse that showcases Dubai’s strong equestrian heritage. In future-proofing the shopping experience, the project will bring out the best in every retailer in a highly competitive marketplace. 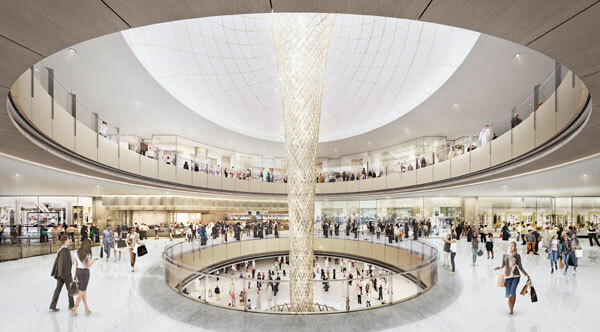 Upon completion, the destination will house over 550 retail outlets – including a 13,200 sq m hypermarket, 30 anchor stores and 80 flagship luxury stores – and 180 both indoors and outdoors restaurants. Unique features, such as an imposing retractable skylight extanding over 100m, will offer a vibrant new approach to al fresco dining while gazing at the stars. 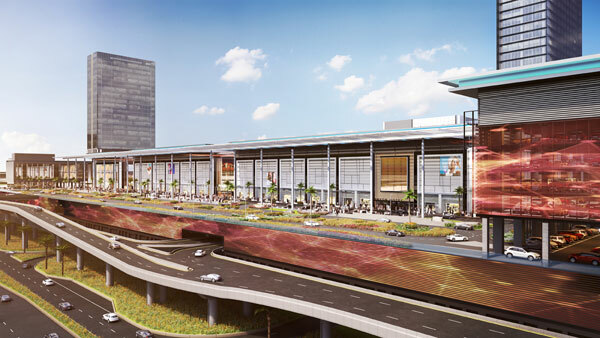 Meydan One will also feature an Incubation District – a fullyenabled plug-and-play facility for up-and-coming entrepreneurs in fashion, beauty, F&B and other sectors. 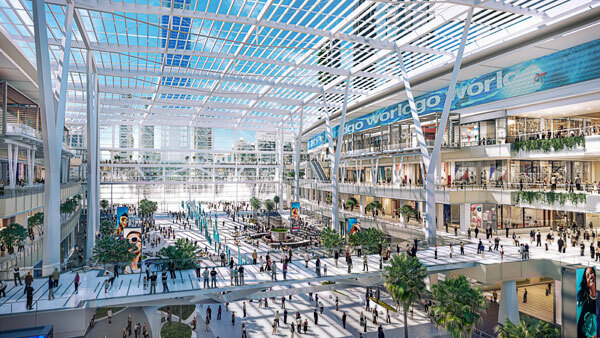 Entertainment concepts will represent almost 15 percent of the development’s GLA, including a 21-screen cinema with an adjacent food court. 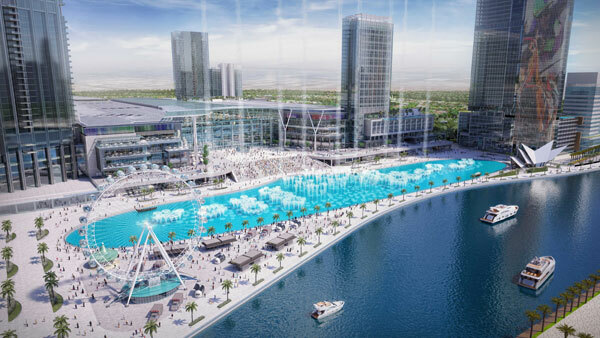 In addition, the destination will be home to a 28,000 sq m Experience Zone – an entire floor of meticulously programmed innovative entertainment, edutainment and e-gaming experiences. One of the main attractions at Meydan On: the largest dancing fountain in the world will span a phenomenal 380m in length, enhanced by a 100m vertical laser light colour display and choreographed through a digital screen. Meanwhile, the 1 km indoor ski slope will attract skiing and snowboarding enthusiasts from across the region. 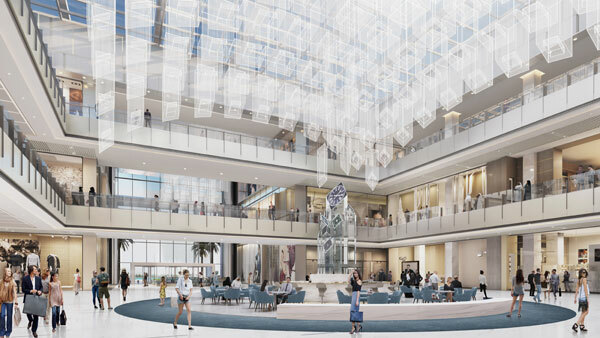 Hospitality elements, comprising a lifestyle and a luxury hotel, as well as hotel apartments, directly connected to the destination, will complement Meydan One’s portfolio. The space will also house a 5,430 sqm medical centre, and a 20,000 sqm Grade A Office Tower. Meydan One will also provide the highest number of car parking spots per square meter in the UAE,with more than 12,000 spaces available to choose from. Visitors will be able to reach Meydan One conveniently from the neighboring main road arteries, thanks to a carefully designed access network, free of any obstruction. Meydan One is set to carve a niche of its own as a city within a city that offers a wholly reimagined lifestyle. Last but not least, lovers of water activities will be able to cruise on the 8.2 km Crystal Lagoon featuring a 300 m white sandy beach, an exclusive beach club with a lounge area, and water park facilities for adults and kids, as well as activities such as kayaking and paddle boating.